I was stunned when I came across this book. I had never seen such a unique book, which while reading out to my kids, they would feel like they are not just part of the story but the heroes of the story! And that too an adventure book! 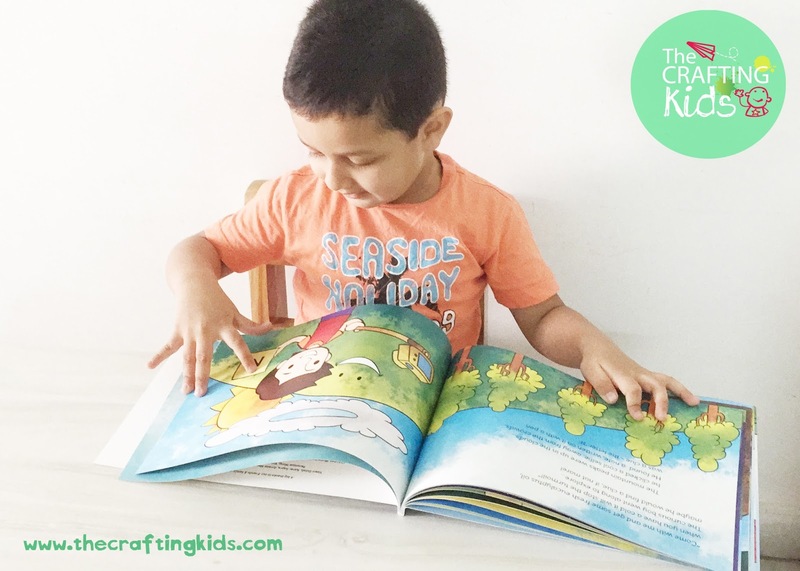 This is a great concept, a very well thought-through and designed book that puts my kids in the middle of the action! The pictures are so colorful and vibrant that my kids feel completely exhilarated. The story is always read in a repeat mode at home. My son likes to read out his sister's name and my daughter likes to constantly point out her big brother's figurine on the pages, saying- "Dada, dada". (Big brother is addressed as Dada in Marathi). Watch this video to see what I am talking about. If your kid likes to watch TV and you are taking steps towards reducing screen time, I strongly recommend this book, as it has a lot of content, plus the excitement that child feels which watching a cartoon, the same excitement can be experienced while reading this book because it is so well written and articulated, that with every page the story gets even more thrilling and the climax is written brilliantly. I would like to particularly mention about the quality of the cover, the pages and the print. Everything is of superior quality. It was a smooth process from book preview to order, payment and delivery. The punctuality in service by Bookyboo team is superb. My books came gift wrapped and packed in a high quality thick envelope. This book is going to be our keepsake forever and we will cherish it for years to come! Go here to experience how this works. 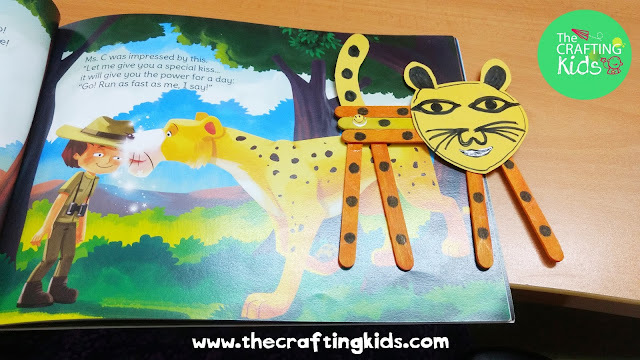 Type in your child's name to see how the book gets created! This post is about a wonderful book by Bookyboo that we bought for our son, SHAUNAK. Yes, he had just started learning the spelling of his name and this book came at the right time. Of course, he felt extremely special when we gifted it to him! It is a perfect gifting option. The children go crazy to see a book in their names, and the story is very very interesting. I can say this with guarantee, because I'm the proud owner of two of personalised Bookyboo books. The book is well written and articulated and has rhyming stanzas which sparks even more interest when I read it to my child. And if you are like me, trying to introduce new words to your child's vocabulary, then this is the perfect book for you. The illustrations are extremely captive and the colors are vibrant. 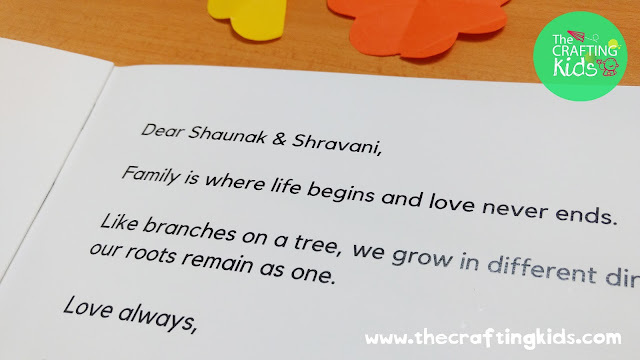 The creative team of Bookyboo has cooked a perfect recipe to charm the kids. This was our very first personalized book and the preview and order process was so smooth and easy. I opened their website, entered my son's details and previewed the complete book before ordering. Also they have 10% discount offer, so do not miss the chance! And when we started learning about India, this book helped me introduce places in India. That was a plus! 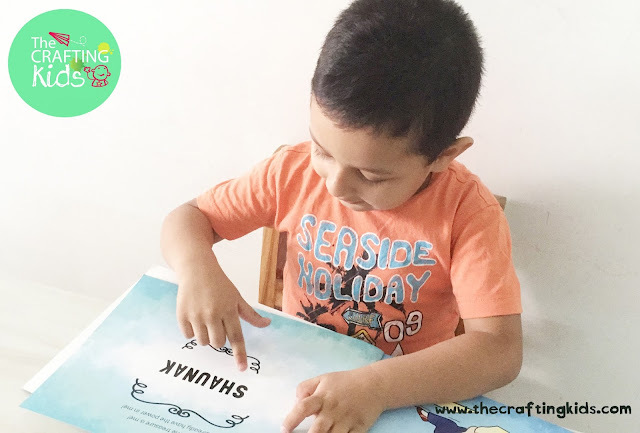 Here is a small video of my son adoring his book! 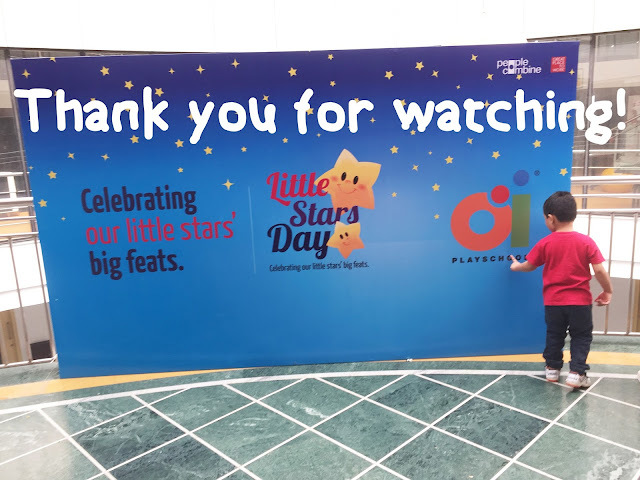 Neeraj left his job as a managing director at IPG and Hetal left her job as a business director at OMD Malaysia to set up this personalised books platform for kids 2 years back. And since then the couple worked on one personalised book, YES, you read it right. ONE book. Now that's some commitment! 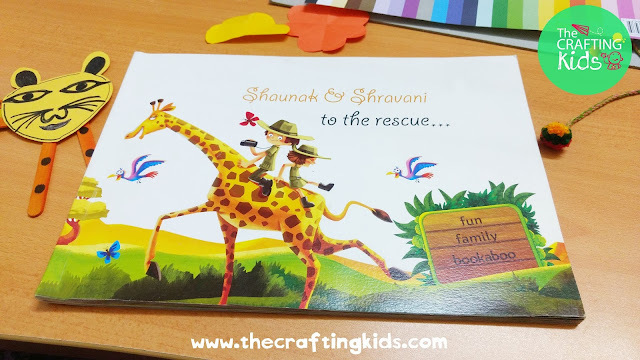 They created one great book- 'Amazing Treasure Hunt in India' and sold thousands of copies worldwide! And then they published with their second book- 'to the rescue' which is based on a family theme. We learnt 50 sight words this month. We chose words which we speak almost everyday. Simple but important words which form a few basic sentences that would be useful for a toddler to communicate. Here you can download our list of 50 Sight Words for May 2017. I explore new ways for Shaunak to reflect his learning. 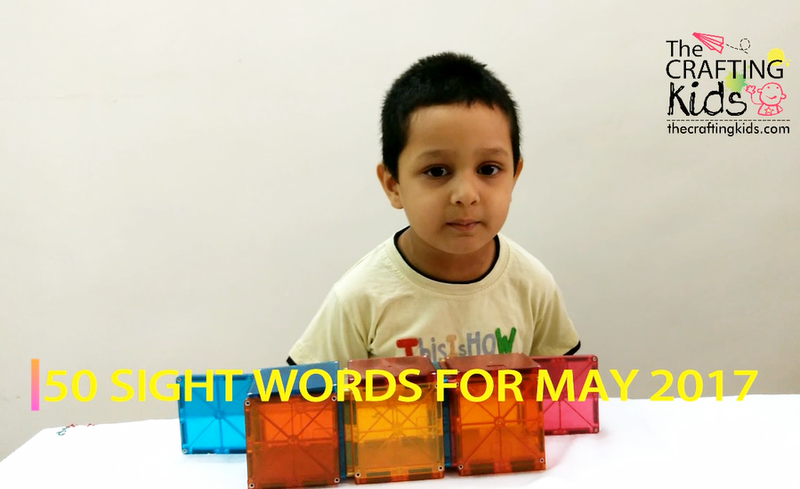 We have been learning opposite words since a couple of months through hand-on activities and experiments. 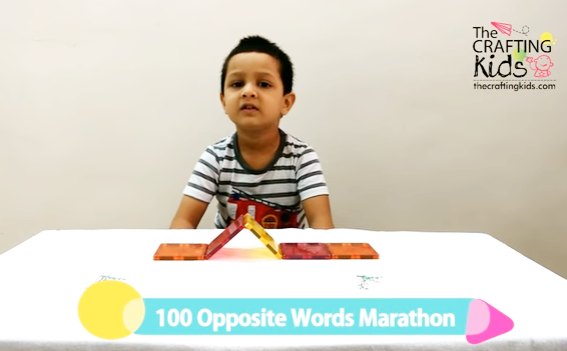 The practical examples help child to lock the information in the brain for a longer period of time. We follow three methodologies to teach/learn at home, one of them is Montessori. And the prime principal of Montessori methodology is 'follow your child'. And we have gradually learnt to do just that. I once shared with Shaunak what opposite words are, taking examples from his daily life, like while bathing- dry and wet, while walking- fast and slow. Shaunak instantly liked the concept and kept asking both of us to repeat them again and again. And so I realised it was time for him to learn new words with hands on experiments. This also gave me opportunity to work on his vocabulary development and introduce him to new words. Shashank while driving showed him difference between narrow and wide roads, fast and slow, rough and smooth and such more. I at home did some fun science experiments for words like float and sink, sweet and sour and hot and cold. For our Transportation theme I made a few DIY cardboard toys which helped me teach him words like over and under, sharp and blunt, etc. You can download the 100 Opposite Words file here, I would really appreciate if you drop me a comment before downloading. When in US we took Shaunak to an automatic Car Wash facility. And the experience always left him thrilled. The entire automatic car wash happens in three stages- Soap, Water Wash and Dry. I built this model with three different stages made out of three different materials. Shaunak took out his entire fleet of cars and made them sparkling clean. He also learnt the concepts of one-way by ensuring that he doesn’t start from the exit side. Opposite words we learnt were: Dry x Wet, Clean x Dirty, Left x Right, Thin x Thick, etc. A child loves to go out of the house and explore new places. 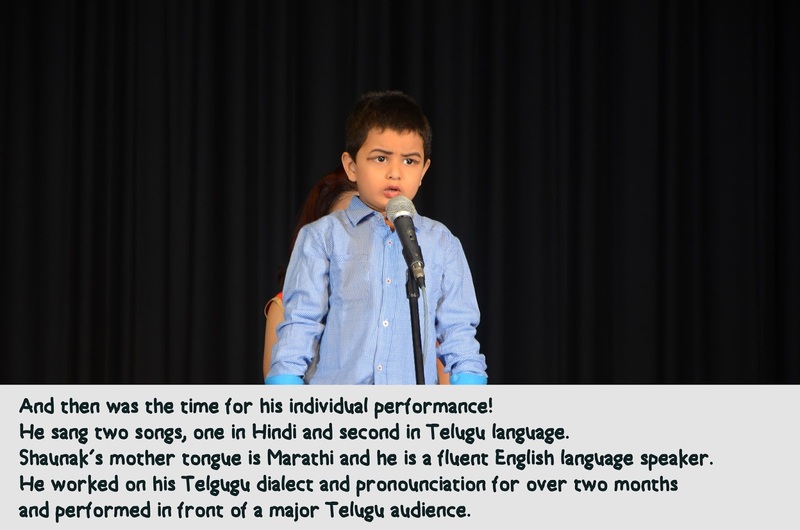 Shaunak likes to go to all the public places and he observes place and the people around. I wanted to revise the Public Places topic with him and talk about the use of each of these places. 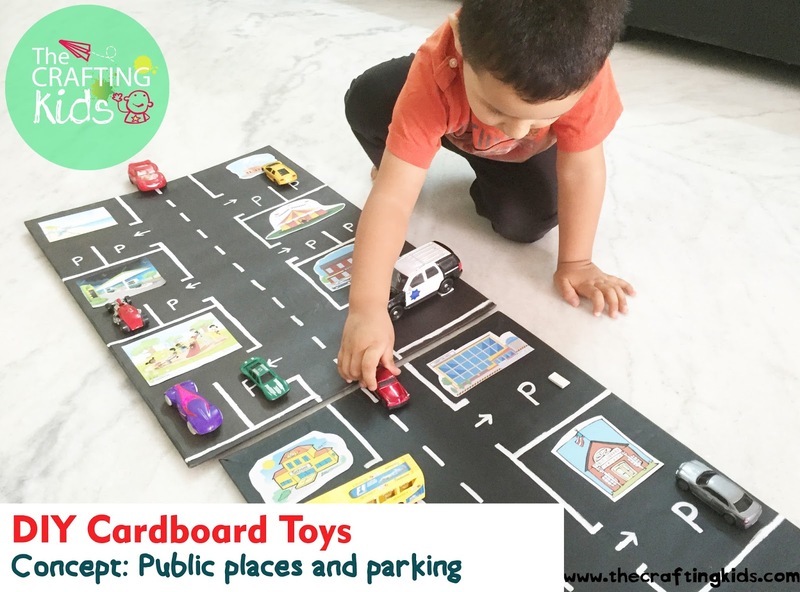 To explain this concept in an easy and practical way, as well as some toy car driving practice, I created this engaging activity with pictures of various public places like Police Station, Hospital, School, Beach, Library, Playground, Circus, Petrol Pump and much more. We played this as a game of short stories which explained the purpose of each of these places and then Shaunak would take his vehicles to the appropriate public place. He was particularly excited of making sure he fuels up his petrol tank before visiting the next place, so the petrol pump was surely the most visited place followed by the playground and the beach. 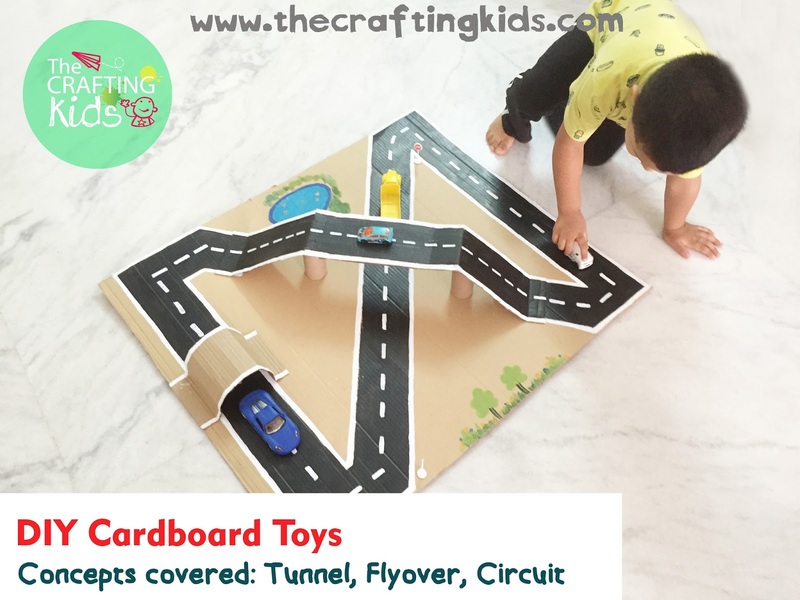 I also made a racing track to introduce him to the concept of car racing hands on. I was left with 2 pieces of cardboard. I covered them with black chart paper and painted the road borders and parking area with white acrylic paint. I took printouts of the public places pictures and pasted them onto the cardboards. While palying we kept the 2 cardboards next to each other. Shaunak is always excited about Airplanes. He has a soft corner towards them and I am sure he gets this passion from Shashank. Shaunak gets his firsthand information and knowledge about airport and airplanes from his Dad who works in Honeywell Aerospace. Shashank had once bought an Airport play set when he visited Boeing. He had pledged to keep it arranged in our show cabinet and not give it to anyone. However, once Shaunak turned two and saw the airport set, there was no way it was going to stay for display. The play set had a few airplanes, bus, ladder truck, airport rescue vehicles and almost every other airport element. Seeing him play with these just on a table or the floor wasn’t very pleasing to me and I decided to build an airport for him. I painted this complete airport, including a terminal, taxi way, runway and a section for rescue vehicles. He was overjoyed seeing the airport and plays for nearly an hour everyday. This airport activity helped us teach a lot of concepts to him. For instance, what is a terminal, hangar, and how the pick up bus takes passengers from the terminal to hangar safely to avoid accidents. Then the ladder truck or the boarding steps, a ground support equipment, which help passengers climb into the 20 feet high aircraft. He learnt about the different rescue vehicles at the airport, the police car, ambulance, fire trucks and rescue helicopters. Last but not the least and most important, the ATC towers and RADAR. I build this out of a kitchen roll and a paper cup. He was excited to talk to the ATC and get clearance for his flight to takeoff and land. I made a rough sketch on a paper which was further improvised by my husband who is an expert in aerospace himself. Then I painted the roads black and the borders white. Made ATC Tower using kitchen roll tube and a paper cup. He used his toy airplanes to fly. We spent a wonderful family time full of quality conversations and learning. The first DIY cardboard toy (Garage and 2-level Parking) was a hit with my son and so I decided to make another one, this time with structures on the road and to teach various other concepts. Here is a practical and interesting approach to learning two new concepts - Tunnel and Flyover / Over bridge using a complete circuit. Shaunak took his variety of vehicles and practiced driving them on this circuit. 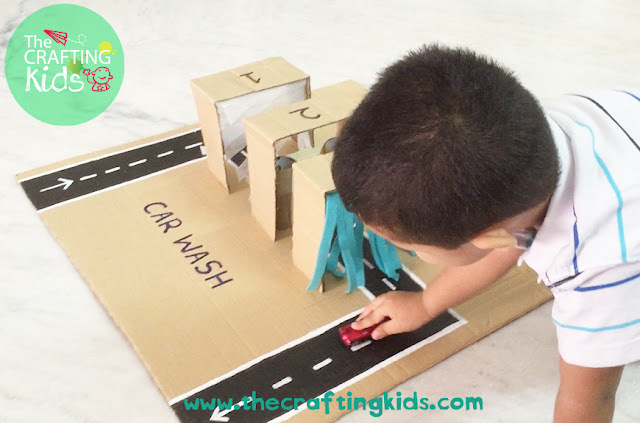 This also helped him improve his fine motor skills making sure that the vehicle always stays on the road. We also spoke about how to be careful while climbing a flyover as it needs more force, and how he should control his speed while driving down the bridge. He also learnt how one has to be extra careful in tunnels due to the tunnel boundaries and use the lights to drive in the dark. I decided the places to build flyover and tunnel. I made a rough sketch on a paper which was further improvised by my husband who is an expert driver himself. Then I painted the roads black and the borders white. Made flyover using kitchen roll tubes. Used another card board piece to make the tunnel (make sure the card board piece bends well to give a perfect shape of a tunnel). He used his toy cars to drive on the roads and go over the bridge and under the tunnel. We spent a wonderful family time full of quality conversations and learning. Last month I heard Shashank (my husband) telling an interesting story to Shaunak about tow trucks taking broken cars to garage. 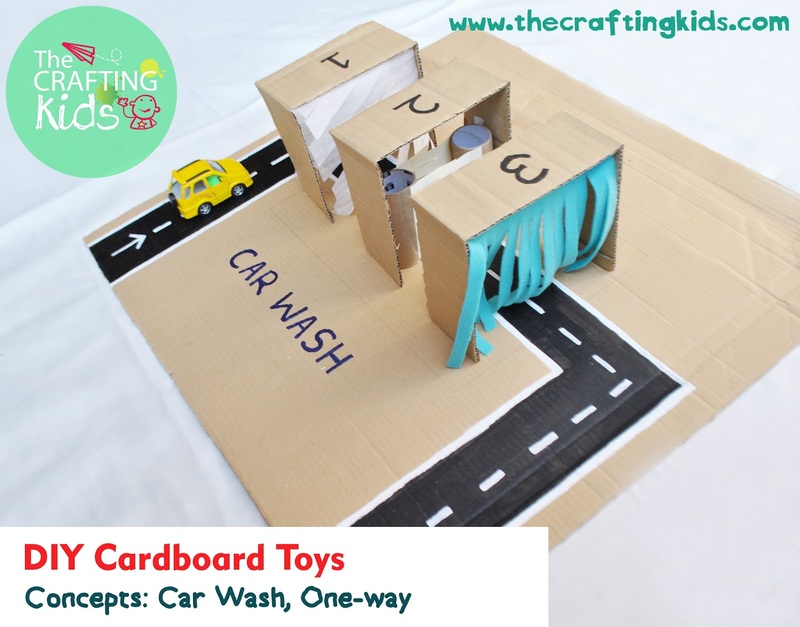 Since then I had decided to make a DIY cardboard toy to make him understand the concept better. 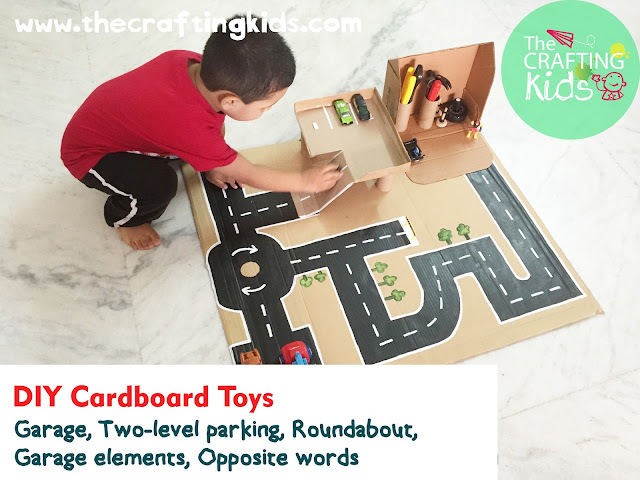 Not only this but many concepts related to roads and garage. So, here is what I heard Shashank telling him and sketched my board ideas around this story. Shashank: "One family wanted to go for a lunch. They used a car parked in the Parking. One car came down from the parking and took a right turn. It reached a "Dead End". The car was taking a reverse and just then the second car came down from the 2nd level parking. The cars didn't notice each other and - Crash! They called the Tow Trucks. Two Tow Trucks arrived, one for each car. The Two Trucks then took the broken cars to the garage where the mechanic mended the cars." I decided where I want to place garage, two level parking and a round-about. I made a rough sketch on a paper which was further improvised by my husband who is an expert driver himself. Then I painted the roads black and the borders white. I placed garage tools in the garage corner. Made 2-level parking using kitchen roll tubes. I also gave him toy cars and tow trucks. 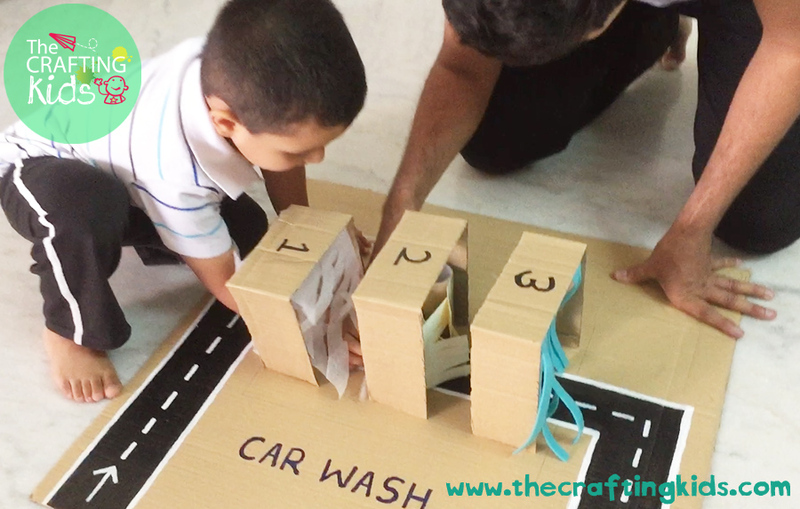 And then Shashank repeated the car crash story and helped him understand the concepts better. 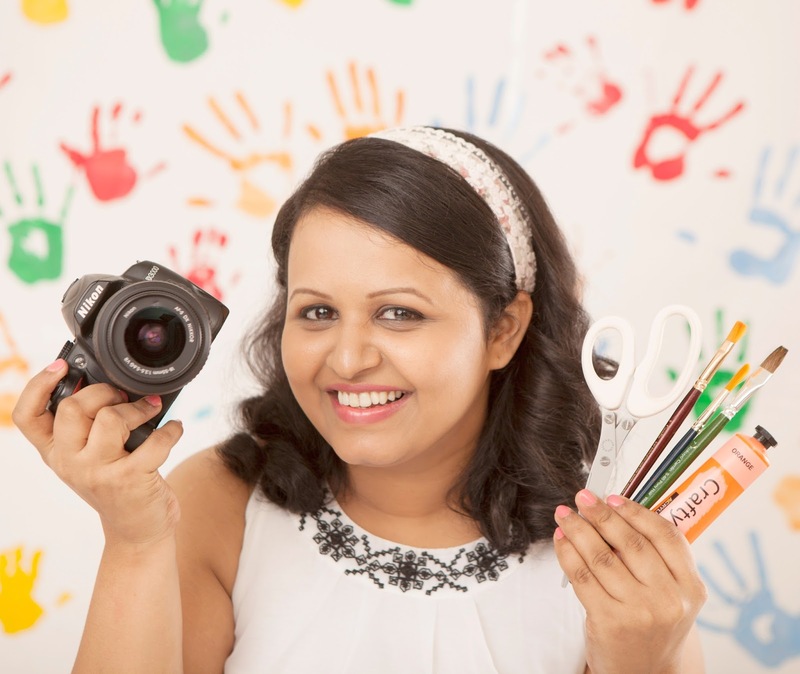 Visit Shreya Okhde's profile on Pinterest. Christmas Shadow Matching Activity- with FREE printable to download!